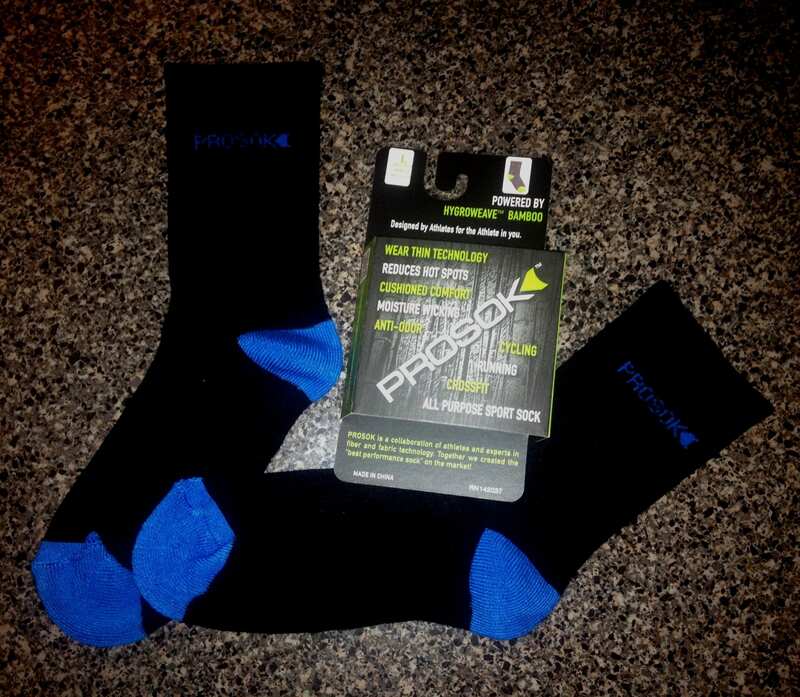 Prosok is a full-foot traditional sock (not toe sock) that is 80% Viscose of Bamboo, 14% Nylon, and 6% spandex. The “Hygroweave” Bamboo technology provides the ability to be moisture wicking and anti-odor while reducing hot spots and giving cushioned comfort. The use of bamboo fibers seemed odd at first to me, but it’s an organic fiber that allows your feet to breathe and it has natural anti-odor and anti-microbial characteristics. The socks have “Shrinkfit Technology” that causes them to shrink in the dryer, then stretch to fit your feet. Some performance socks recommend that you don’t dry them, but I’d rather have the convenience of being able to wash and dry my socks along with my other gear. It was funny though when I did this initially because out of the dryer it looked like my new socks had shrunk enough to only fit a small child. But when I put them on they stretched well to fit my feet, and actually molded themselves to my contours perfectly so that I had no spots where the socks were too loose or too tight. though I was lathered in a good sweat, my feet felt dry and comfortable throughout. At the end of the day I didn’t have “prune feet” which usually happens to me after a day in wet socks. To test the anti-odor function I purposely left them out of the hamper and wore them again last night for some OCR training. They truly smelled as fresh as they did when I initially wore them clean. They still formed themselves well to my feet and I had no hot spots or soreness afterwards. The half cut length helped too in rope climbing training because the socks are just high enough to protect my ankles from the rope burns I always suffer through when I use the J Hook technique on a manila rope. Keeping rope burns to a minimum while staying securely bonded to my feet and legs is a huge plus in my book.